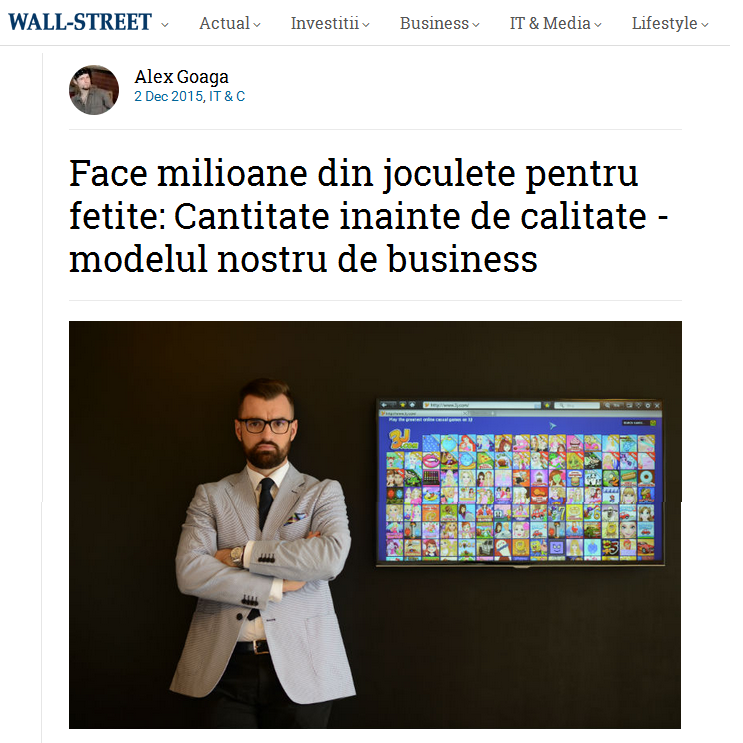 We shared with Business Magazin how our three companies started out, how we managed to grow and what our plans for the future are. 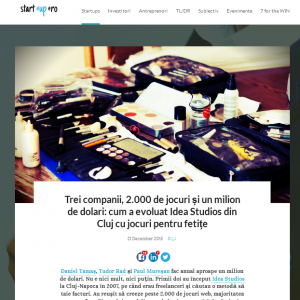 A talk with start-up.ro about IDEA Studios, Transylgamia and Jellycs and how we managed to build and develop our businesses from scratch.. The story behind how we got to making Flash web games for girls, the hard road to success, how we monetize and plans for the future. 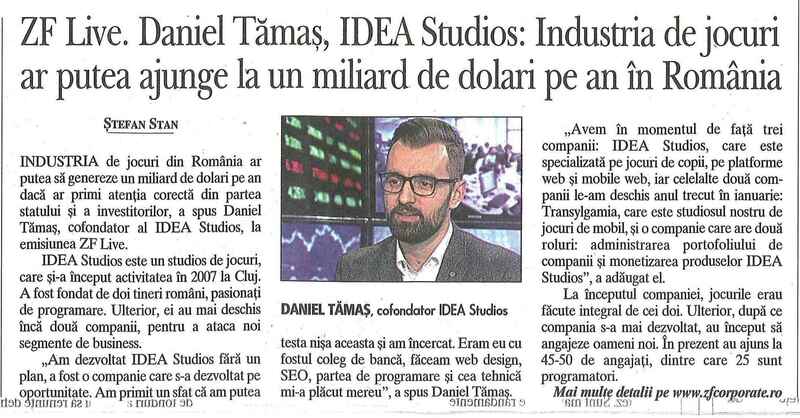 A few words about Idea Studios, how we started out, the challenges we face on a daily basis and the gaming industry in Romania. 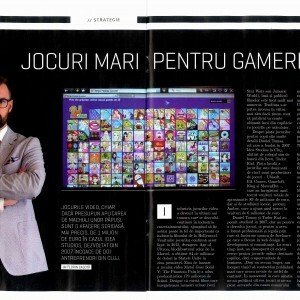 Talking about how everything started with Idea Studios, Transylgamia and Jellycs. Also a couple of lines of life and the business environment in Cluj. 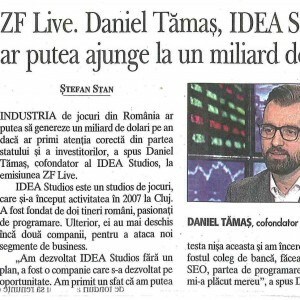 A few words about Idea Studios and how we learned the hard way what it means to keep a business running and be successful.